How pleasant the temperature gets when winters are going away. I love this time, it is the most comfortable of all times in the year. In such a weather, all your body needs is a warm yet light fabric to keep you warm but does not make you sweat, something very fashionable & chic to keep you into the latest winter trend. My look brings exactly the same to you all. I am wearing a Dorothy Perkins from Jabong. This is very simple grey colour skater dress with very light yet warm material. I love the way it feels on the body and makes me look slim. Well,I guess it is the perks of having such a fluid material. 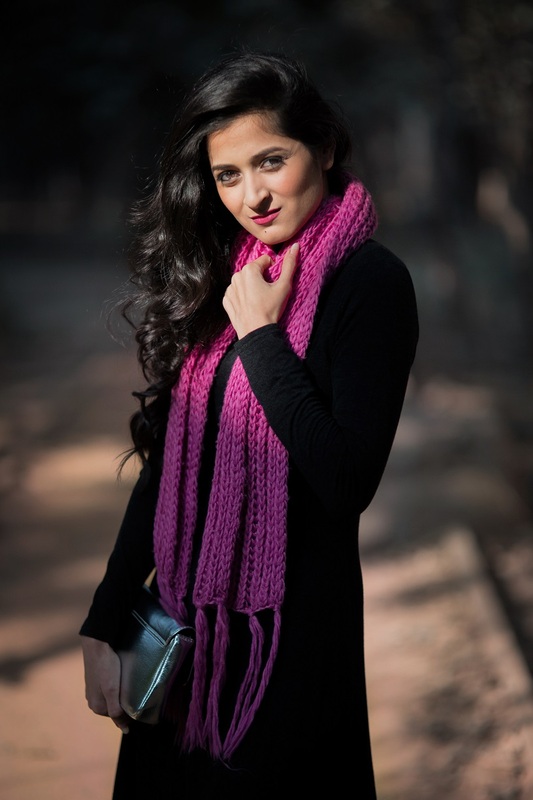 To pop up the whole look and bring it to next level, I have put on a Pink knitted scarf from sarojininagar. Boots are a mandate in Delhi winters. I have also styled in this amazing sling bag from The Label Life. The silver colour just adds that perfect amount of glitter in the whole look.